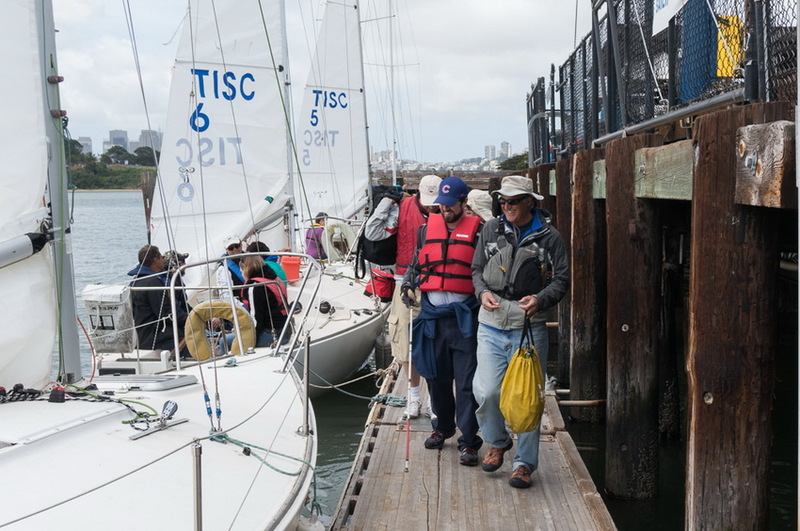 Last weekend 11 visually impaired sailors marked Marin Sailing School Program for the Blind’s 10th year anniversary with a BBQ at TISC. 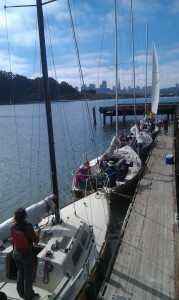 Afterwards, volunteers, J/24s, Clipper Cove and SF Bay delivered smiles all around. You’re invited to create smiles too! 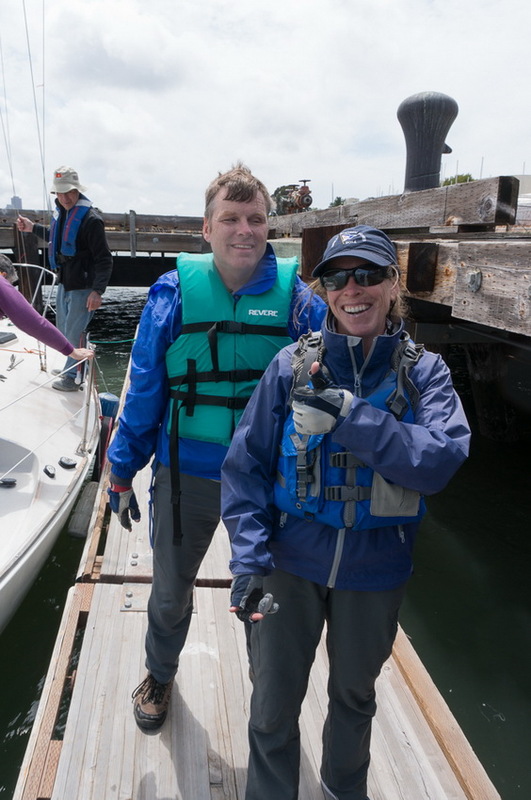 Philip Kum, Al Spector, and Danette Davis founded the Visually Impaired sailing program back in 2007, first sailing out of Sausalito. 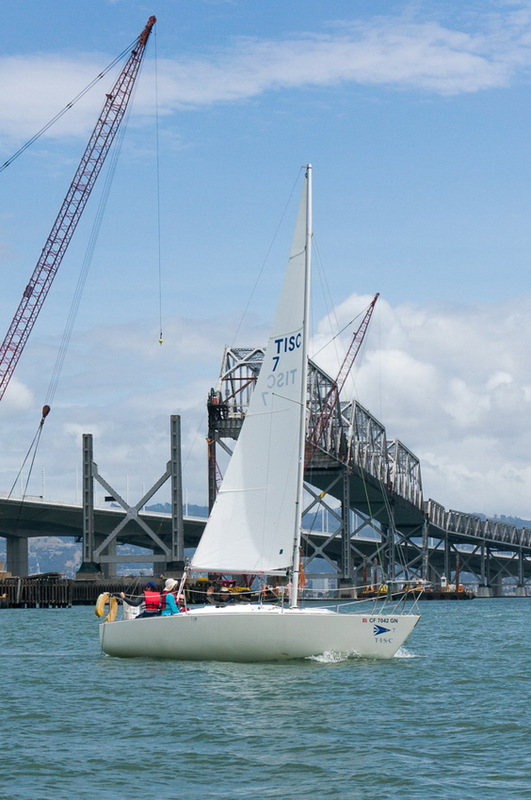 In 2012 they partnered with Treasure Island Sailing Center. On June 18th they celebrated ten years of launching new horizons for VI sailors. Now in its 10th year the program provides opportunities for individuals who are blind and visually impaired to learn the fundamental skills of sailing and the basic principles of seamanship. 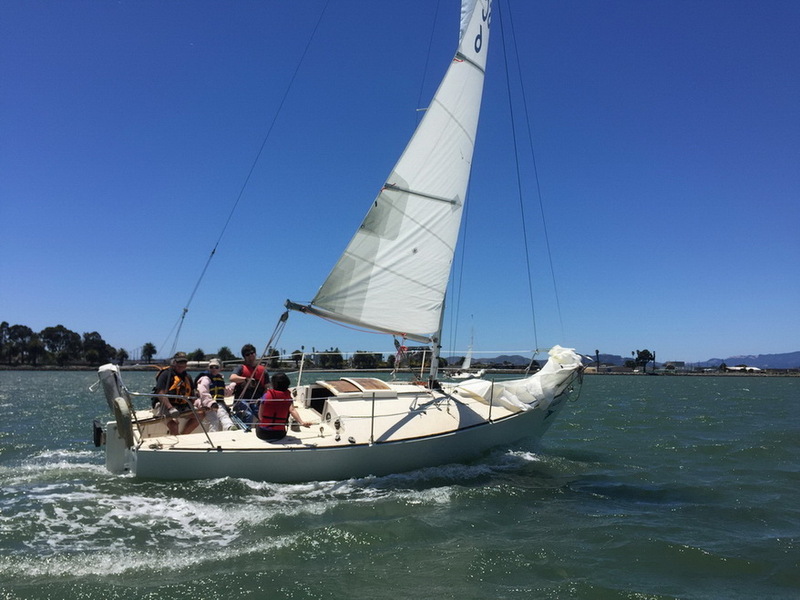 These students – soon to be sailors – learn to sail through the use of creative and adaptive methods in a hands-on, mainstream teaching environment. The objective is the same as for sighted sailors: to harness the wind and to experience all the challenges and rewards of sailing. 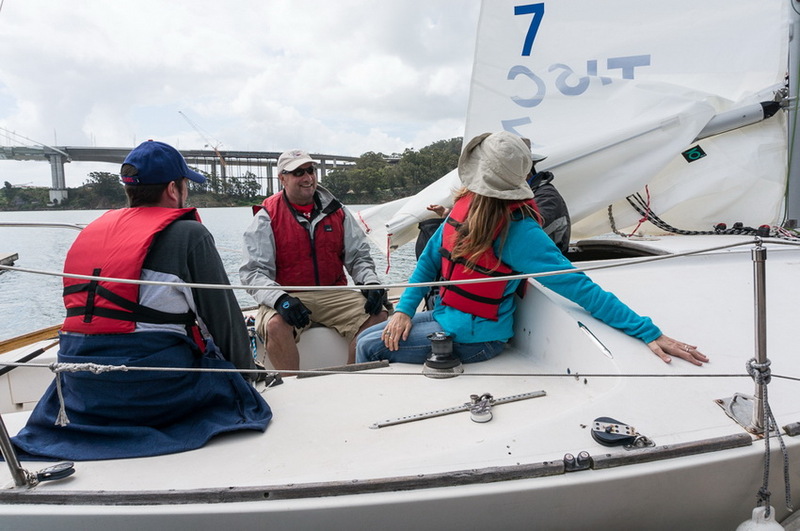 Learning to sail a boat, the physics of sailing, and the equipment used on board, builds self-assurance to meet day-to-day challenges and enhances confidence to try new things. Clipper Cove, with its protected area, lack of current and steady winds, provides an excellent launching point. 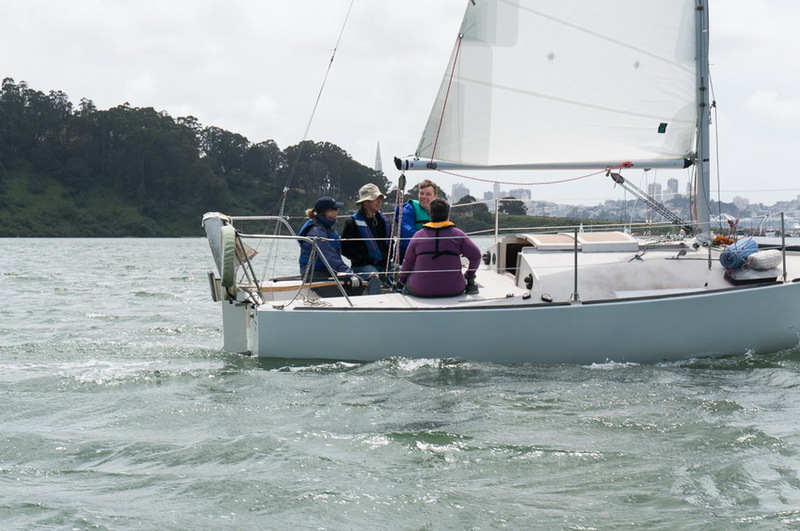 The TISC J/24 fleet is an excellent boat for the program – stable yet responsive. 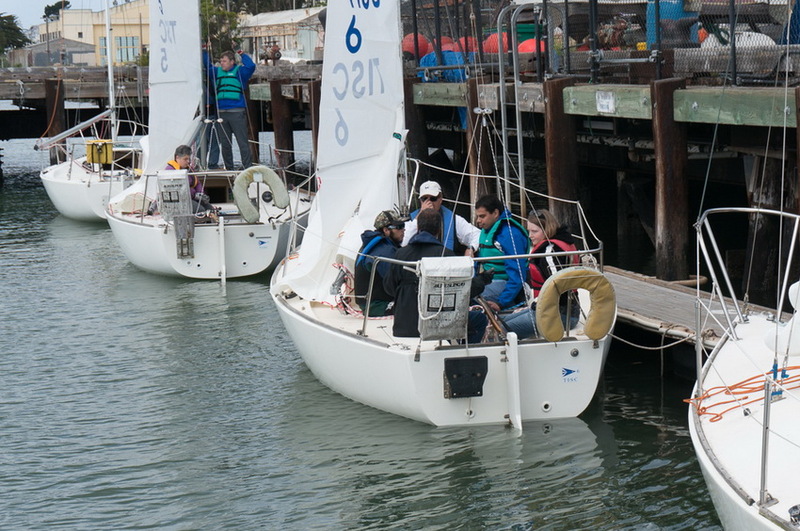 With common deck layout and rigging across the boats. 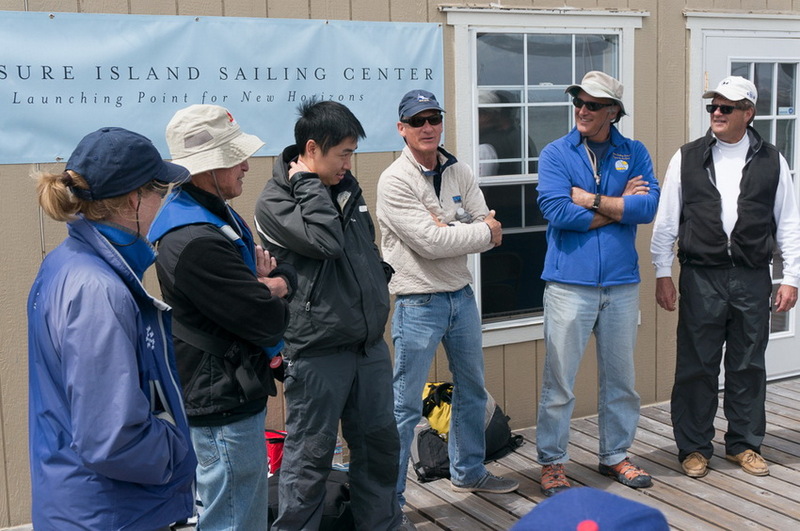 Each day starts with a discussion of the day plan, then an on-boat orientation. Here are photos from the May 21st and June 18 sailing days. 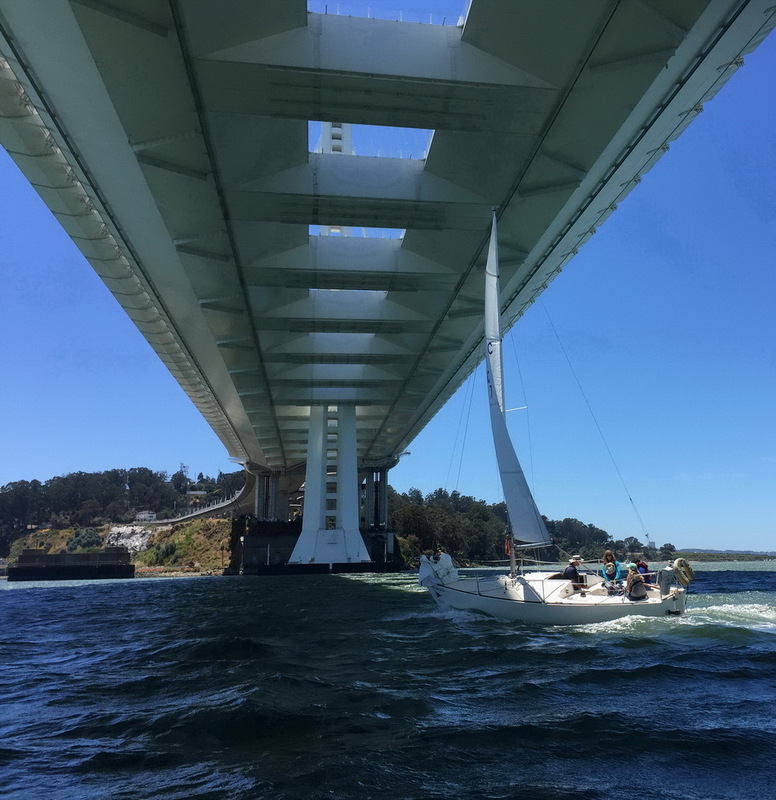 These sailors have a wide range of experience from just learning to those who have raced in events worldwide from Newport, RI to Rotorua, New Zealand. 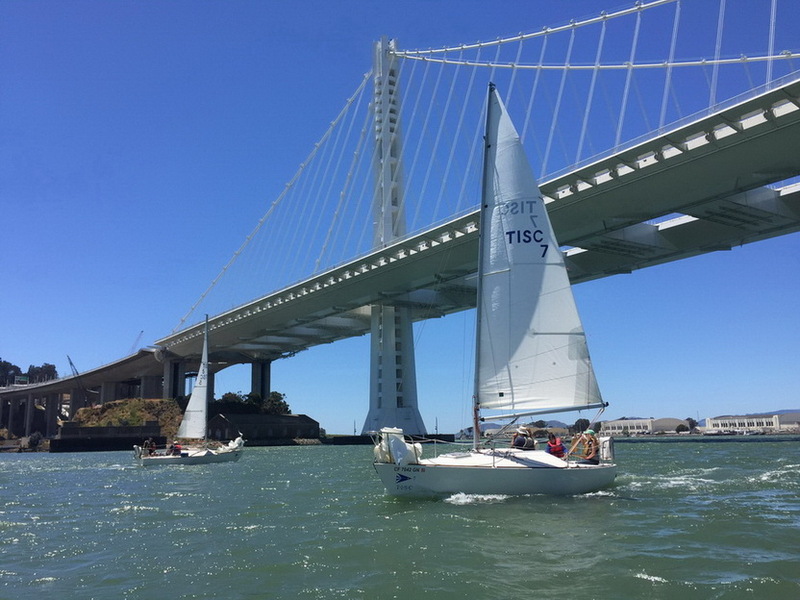 So the easy access from Clipper Cove to SF Bay is another bonus for the TISC location. Smiles all around after returning to the dock. Then debriefing to share stories and more smiles. 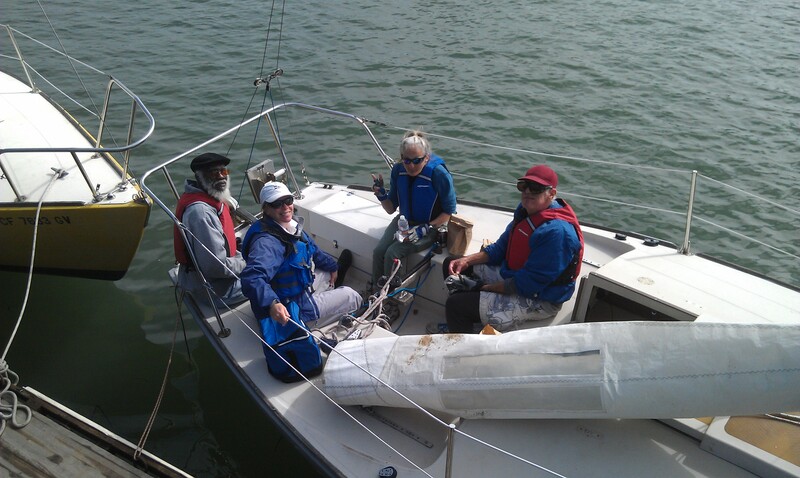 Comfortable as an instructor on a J/24, the boats used for the program here at TISC. Willing to engage and focus on basic principles including the etiquette of working with visually people who are blind and visually impaired, communications and giving directions. All these skills can be learned by attending a volunteer training day, or reading the EXCELLENT manual put together by Philip, Al, & Danette then “shadowing” another instructor for one of the volunteer sessions. So easy ! 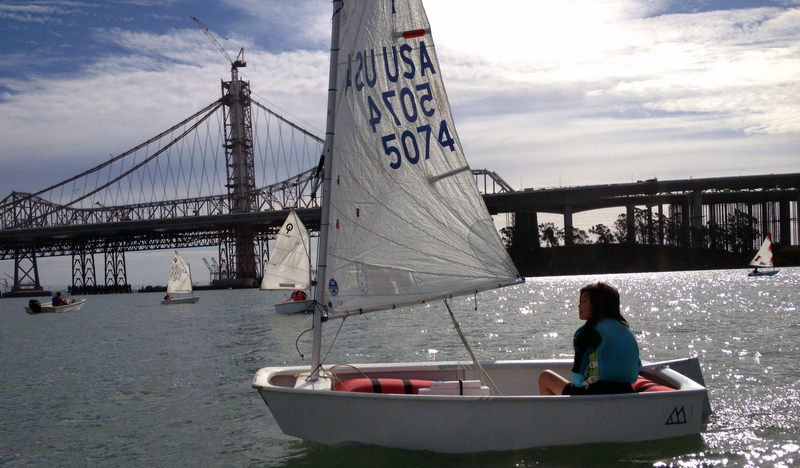 Upcoming VI sailing days at TISC are: 7/16, 8/20, 9/17, and 10/8. The program starts at 10 am and runs until 3pm. 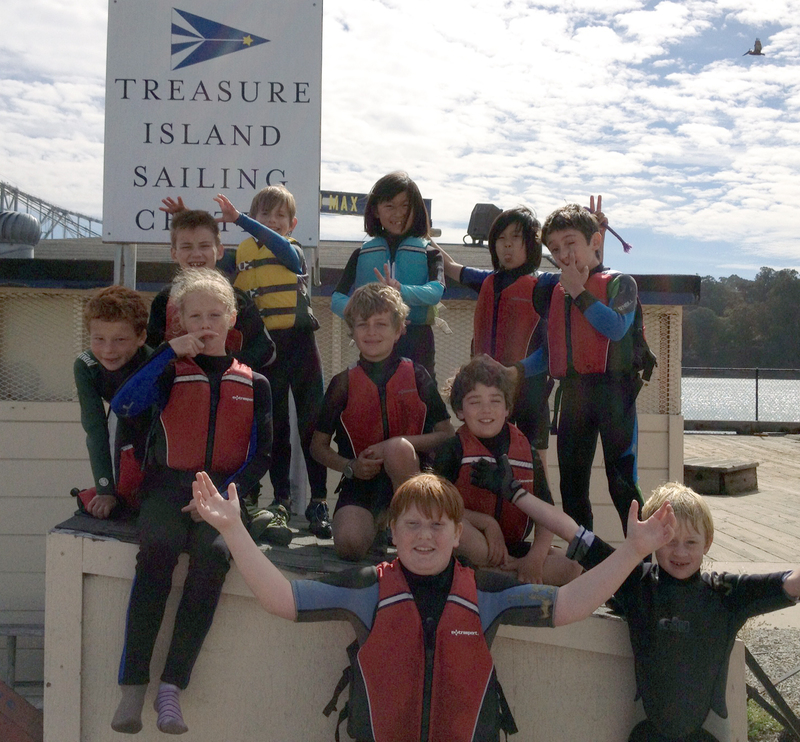 Please contact Luxine Smith (luxine.smith@tisailing.org) at TISC if you have further questions or would like to spend a day you will likely remember as “a great, rewarding day – making new friends, giving back, learning something new and feeling really proud of helping others share the joys of sailing”. 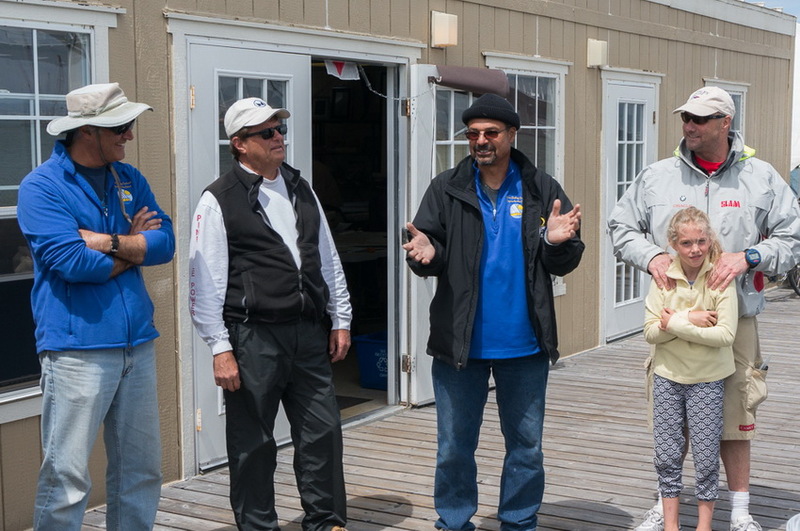 A HUGE HUGE tip of the hat to Brian Hill for the photos from the May 21st VI sailing day and Al Spector and Danette Davis for the photos from last weekend’s BBQ and sail. 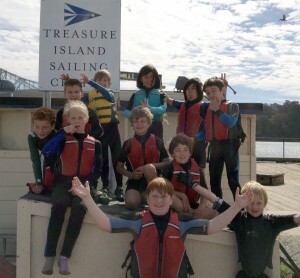 And to the staff at TISC for launching the J/24 fleet used by the VI sailing program. When I started this blog one fear I had was not enough to write about. I now find myself in a catch-up mode. So much for my initial concern; here is an update on the October 20/21 weekend at TISC. 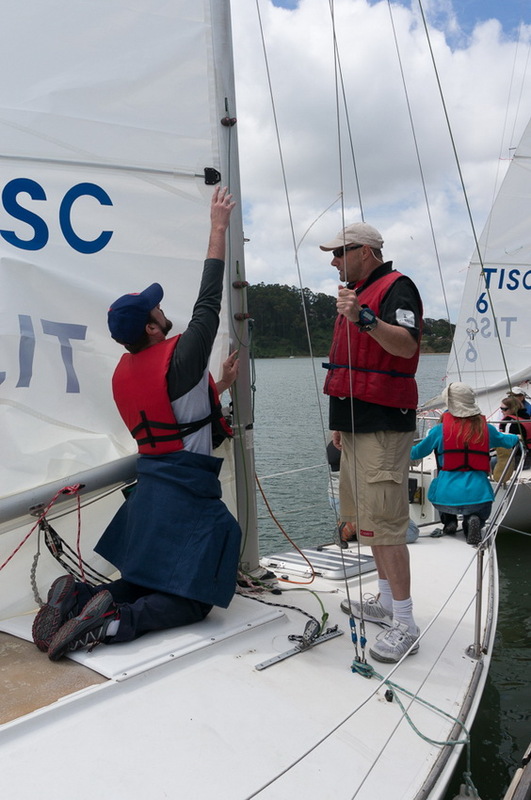 We’ve been fortunate to have a connection with the Marin Sailing School and their program for visually impaired sailors. 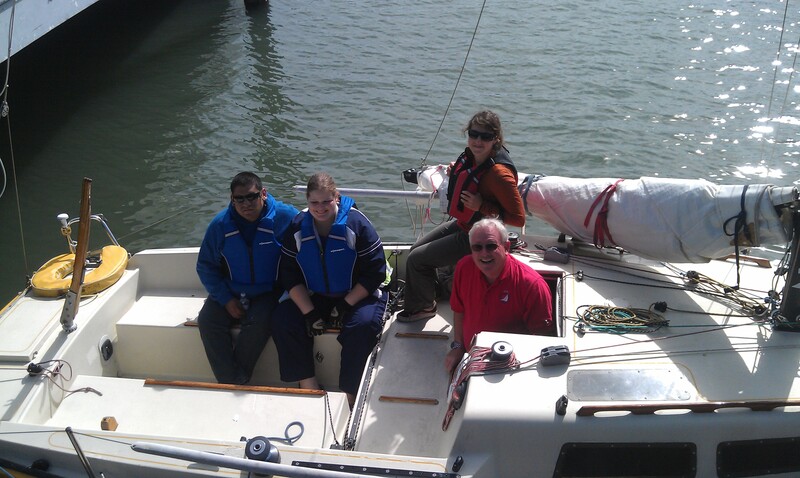 This year we introduced sailing to 37 visually impaired sailors! 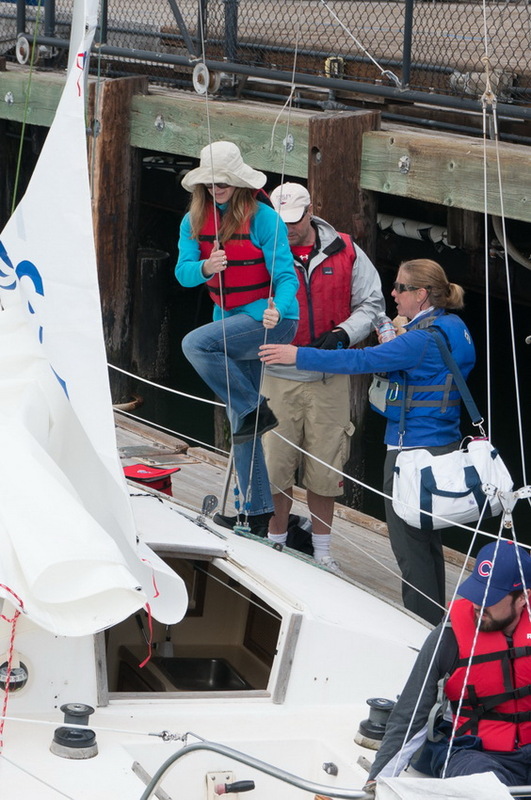 What a great experience for the instructors and volunteers as well as the VI sailors. 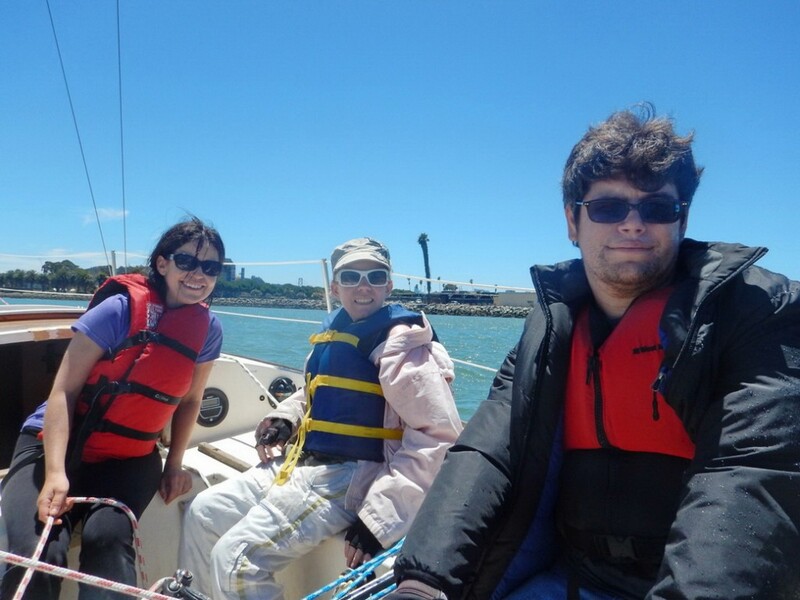 Sailing allows the participants to use their tactile and auditory senses to successfully sail a boat. On Saturday, October 20 we hosted 13 VI sailors plus sailing instructors and volunteers. What a great way to end this year’s program! 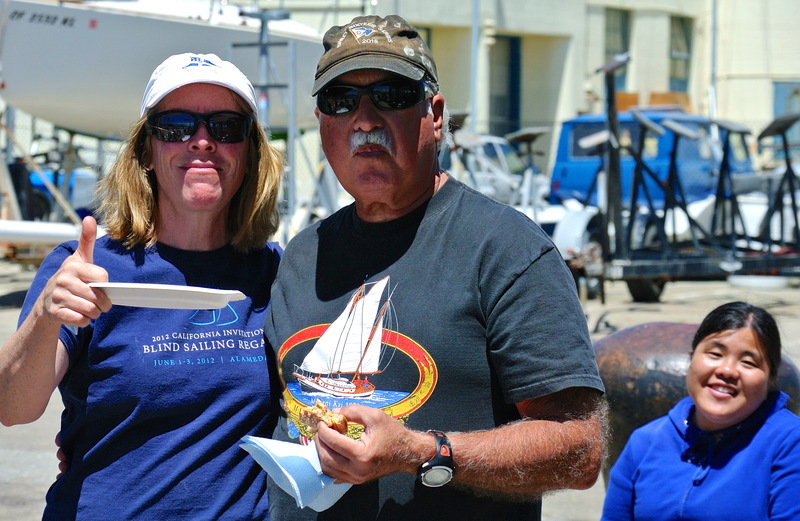 The all-star supporting cast included Al Spector, Head of the Marin Sailing School Program for the Blind and Danette Davis, Head of Outreach (volunteer opportunities are HERE) for the program. They were joined by two Marin Sailing School Volunteers: George Gurrola and George Lythcott. 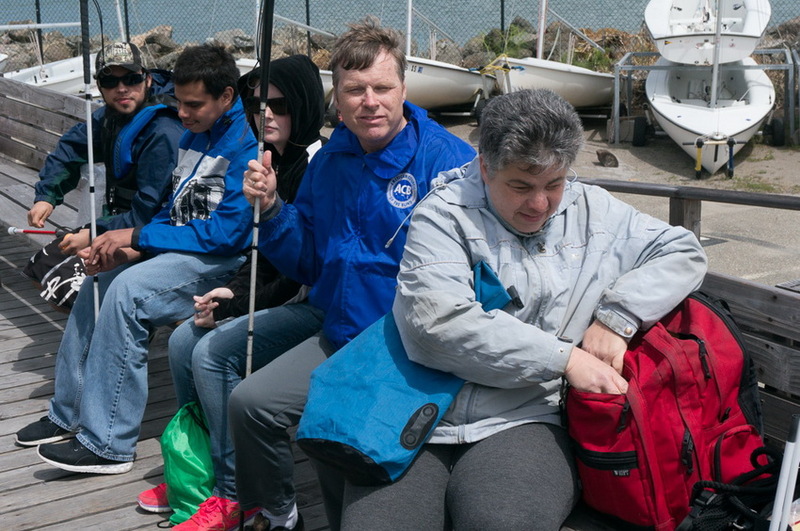 Linda Zagula joined as well; many of her students at the Orientation Center for the Blind have raved about the program, and she wanted to see it firsthand. 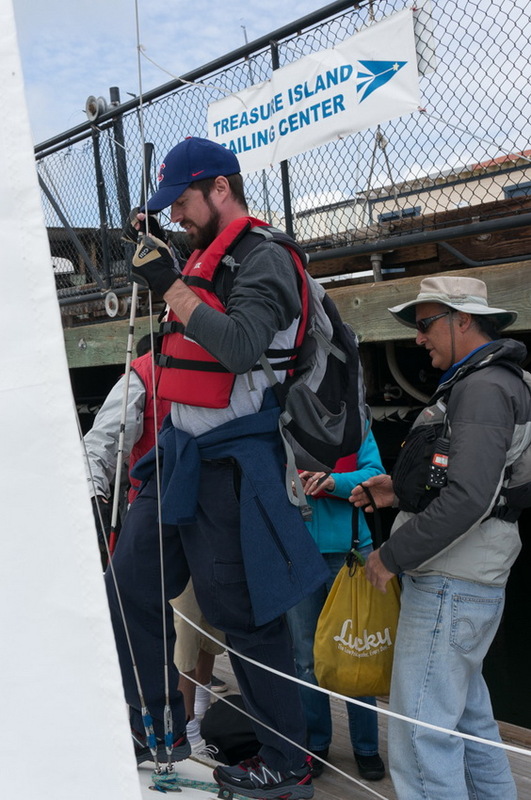 From the TISC side, Kara Wilcox from the TI V15 fleet volunteered her time and the team was rounded out by three TISC instructors: Dan Loman, Phill Myerson and Megan Sammarco. We partner with the Department of Children, Youth and Families (DCYF) on many or our youth programs and initiatives. Each October we jointly sponsor a “Lights on After School” event at TISC to promote after school programing and the important role such opportunitties in the development of our youth. This nationwide initiative had over 1 million participants at 7,500 sites! On Sunday, October 21, TISC hosted 15 students for our annual event. The kids enjoyed sailing games and healthy snacks with parents cheering them on. Bringing together this group further underscored and supported the need for afterschool programs. Thanks again to DCYF for their continued support of many TISC programs. Dan Loman, a TISC instructor, provided the pictures – thanks, Dan, for the many smiling faces. Kevin Berry, our Managing Director, and Madison Gattis, our Office Manager, provided the background on these two events. If you are a parent, volunteer, tenant or TISC student and have a story to share or volunteer to thank please let us know – inputs always greatly appreciated.